Sure, a skeleton looks sort of creepy, but without it, you’d be little more than a pile of jelly. Most of your body parts are soft and squishy. Bones are hard and strong. They hold you up so you can move around. Your body has more than 200 bones. Put them together and they’re called your skeleton. Bones are linked together by joints. Joints let you move and bend. Inside a bone is marrow. Marrow looks a little like jelly. It helps your body make blood. Covering the marrow is light, spongy bone. Compact bone covers the outside. It is hard and strong. X-ray machines let a doctor see your bones. If you break a bone, it can grow together again if you keep it still. That’s why you might have to wear a cast. Babies have soft bones. As they grow, the bones harden. The thigh bones are the biggest bones in your body. The bones in your ear are the smallest. 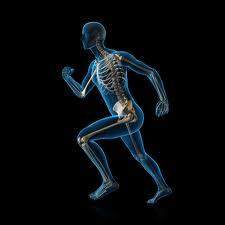 Bones help us in moving and running etc. An animated video explaining the skeletal and muscular system of the human body. Question: Are bones just for helping us move? Answer: The bones in your arms and legs help your muscles move. But what about your skull or your ribcage? These bones protect your body. Your skull protects your brain and your ribcage protects your heart and lungs. Question: How can I keep my bones healthy? Answer: Your body needs calcium, which bones contain. If you don’t get enough calcium, your body will take it from your bones, which can weaken them. Foods like milk, yogurt, cheese and broccoli contain lots of calcium, so eat up! Protecting your bones is a good idea too. Wear a helmet when you ride your bike! Enjoyed the Easy Science for Kids Website all about Human Bones info? 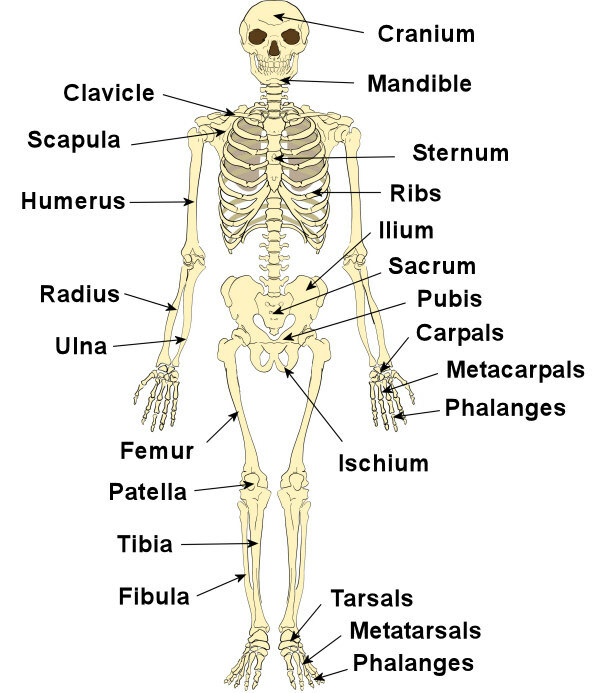 Take the FREE & fun Human Bones quiz and download FREE Human Bones worksheet for kids. For lengthy info click here. Declan, Tobin. " Bone and Skeleton Fun Facts for Kids ." Easy Science for Kids, Apr 2019. Web. 21 Apr 2019. < https://easyscienceforkids.com/all-about-human-bones/ >.